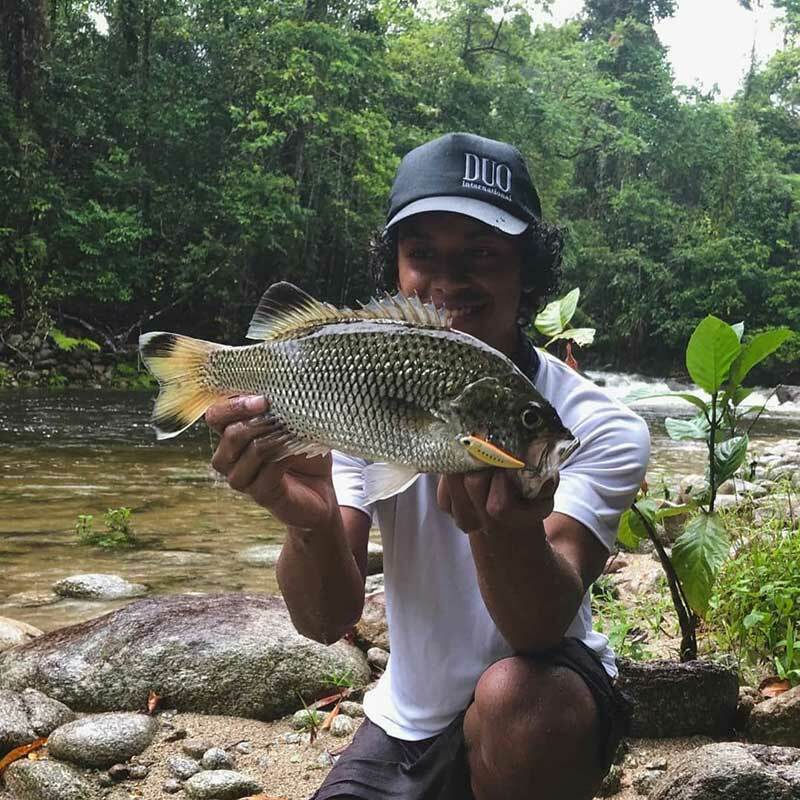 With huge amounts of rain dumped on FNQ, the freshwater creeks were sure to be swollen and full of healthy JP (Jungle Perch). It had been a while since my last JP trip so I set off to explore a new stretch of creek, straight after the first big flush. 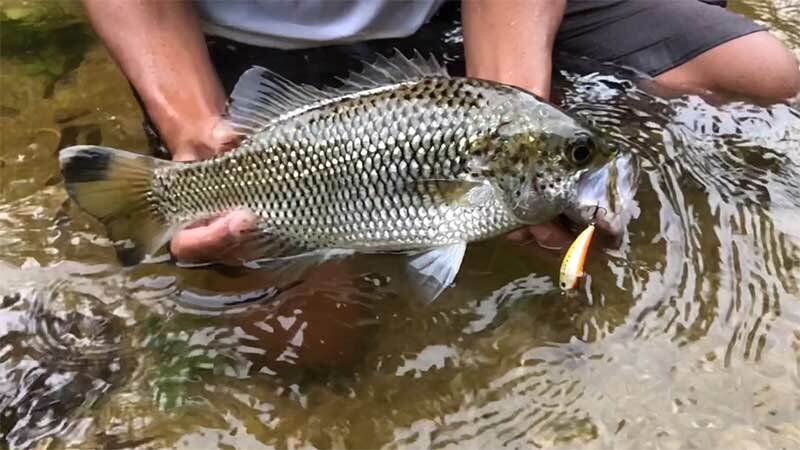 Instead of small poppers and other surface baits, I opted for diving lures this time around, knowing that working the surface would be difficult with creeks flowing hard and fast. I needed a lure with the appearance and action of the small baitfish JP can’t resist. 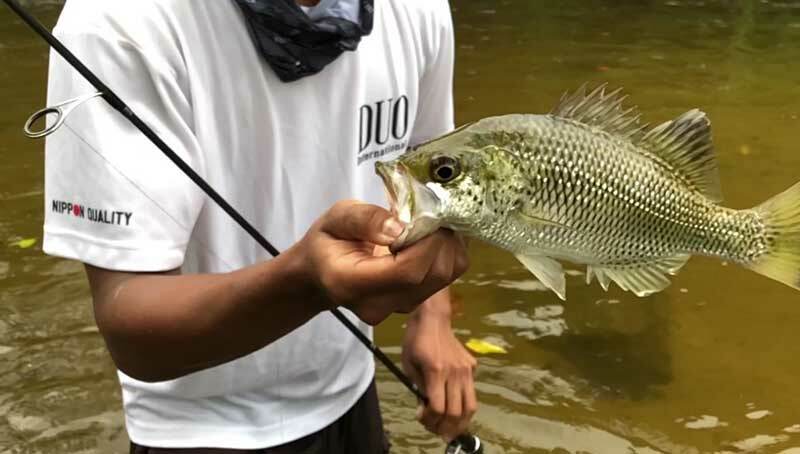 DUO Realis Shad 59MR – perfect! Having the ability to dive more than 1m below the frothy surface, meant my offering would be presented right in the strike zone. 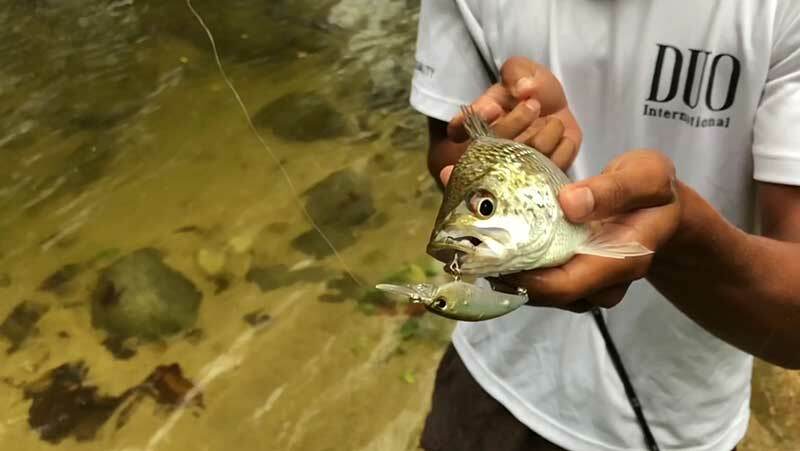 And sure enough….first pool, first cast and this little shad pattern fooled its first fish of the day. The next big pool. 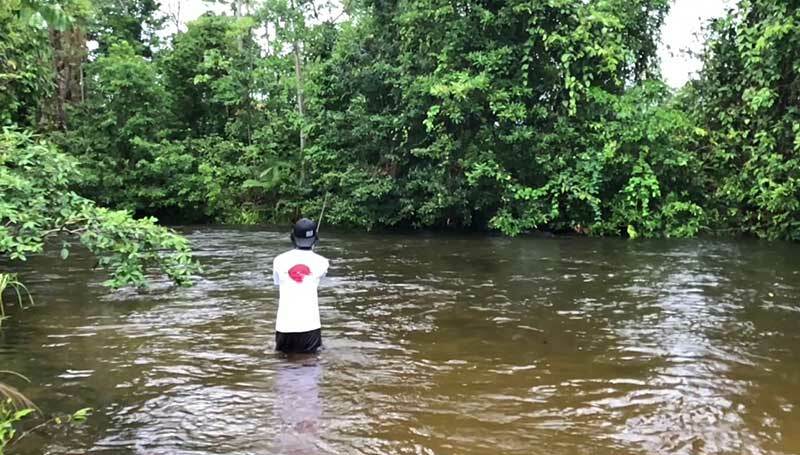 Any angler, regardless of ability, could land a JP here. And the Realis Shad worked a treat, catching 3 fish out of 5 casts! We pushed up against the creek as it made its way down from the foot of the misty mountain, the landscape changing dramatically. The creek bed and banks changed from fine sand and mud to gravel and large granite boulders. By this point, the rain had really set in and the water level was rising steadily up the banks and around us. The Realis Shad was spinning out against the increasing water flow. Desperate to fish this part of the creek, I tied on a Tetra Works TOTO 48 HS. 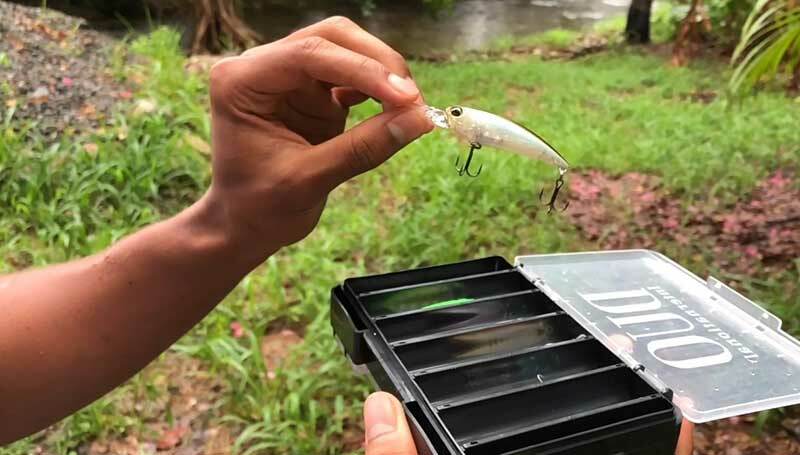 Designed as a heavier micro lure with the ability to sink, this lure with greater casting distance and a subtle shimmy on the drop, suited the situation perfectly. 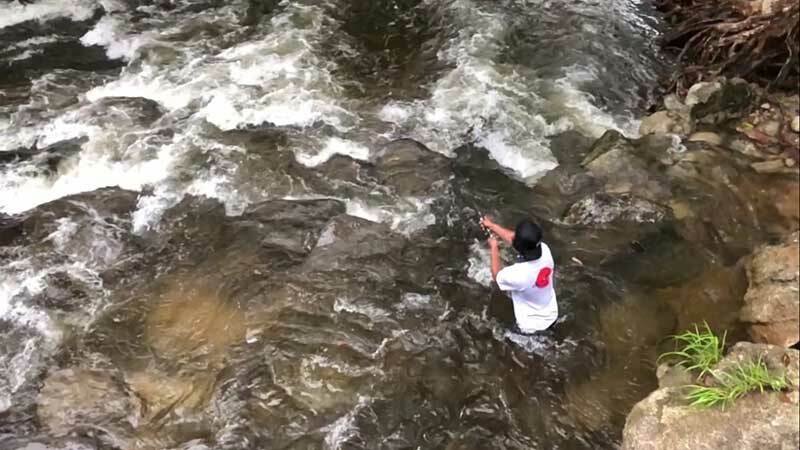 The idea was to make a long cast to the head of the pool, let the TOTO 48 sink to the desired depth then sweep the rod tip while allowing the lure to sink during the pause. 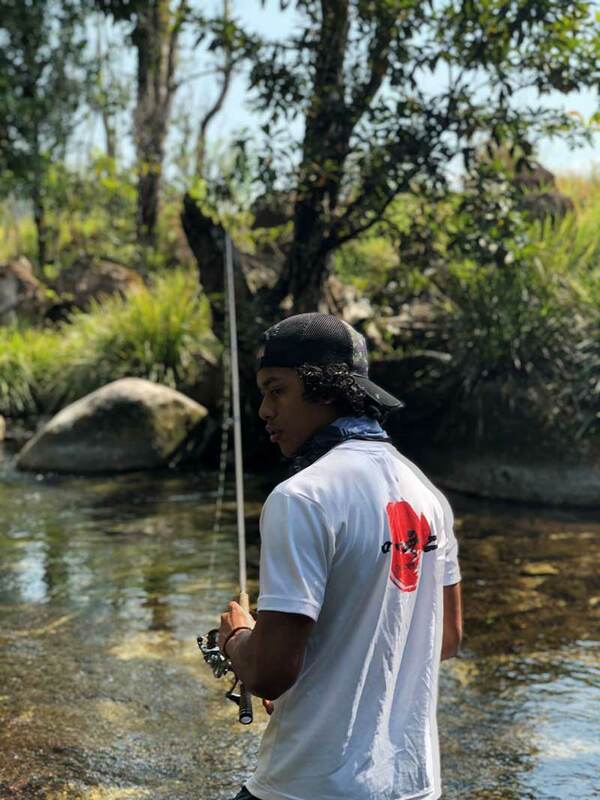 Last pool, last cast… magic. This technique resulted in yet another healthy specimen. 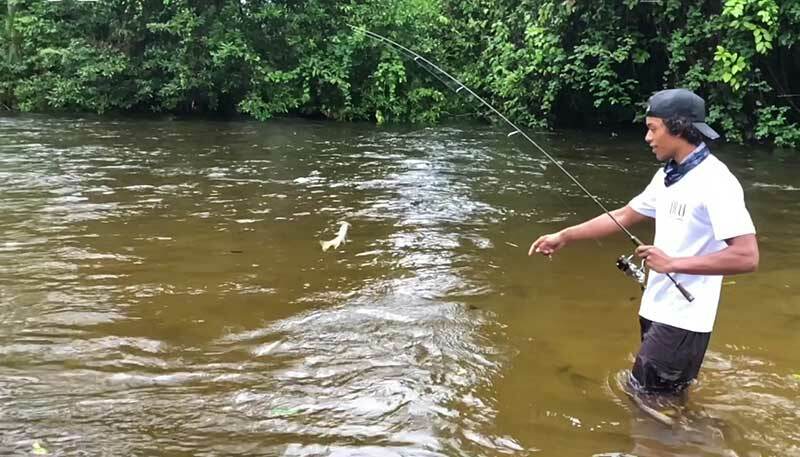 Having the right gear is great, but as an angler you’ve also gotta know how to use that gear and adapt your use as the environment and fish behaviour changes. It takes some getting used to, some trial and error, but the payout is worth it. With thunderstorms all around and the region on cyclone alert, we surveyed the rising waters and ended the trip there, climbing the bank and making our way back through the forest. Returning the way we came was impossible, with the creek now a torrent completely covering our former path. 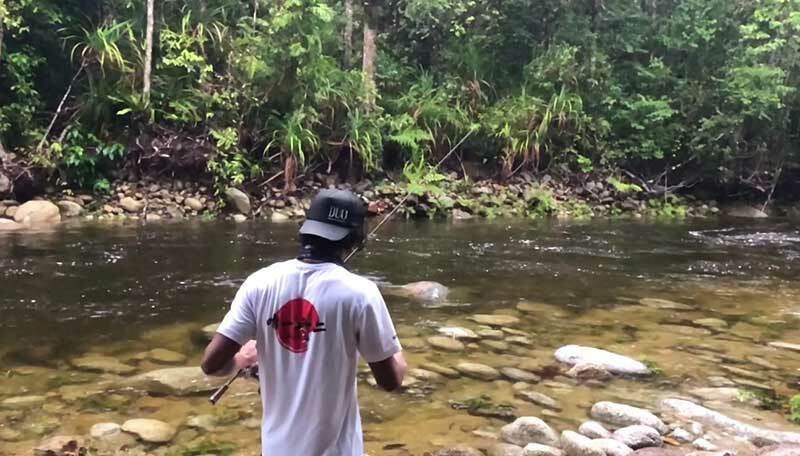 North Queensland is notorious for flash flooding during the wet and fishing any creek or river during this season can be treacherous. When fishing for JP during heavy rains, particularly when a cyclone is about, be sure to pack: first-aid kit, mobile phone, rain gear if you have it, water proof bag and a knife. Park on high ground. Know how to swim. Fully expect to encounter rapidly rising water and have Plan B for a safe exit. Chasing JP definitely keeps you wanting to explore further, whatever the weather conditions, but keep it safe. That next pool, just around the bend, full of big, fat JP… it’ll be there next weekend.